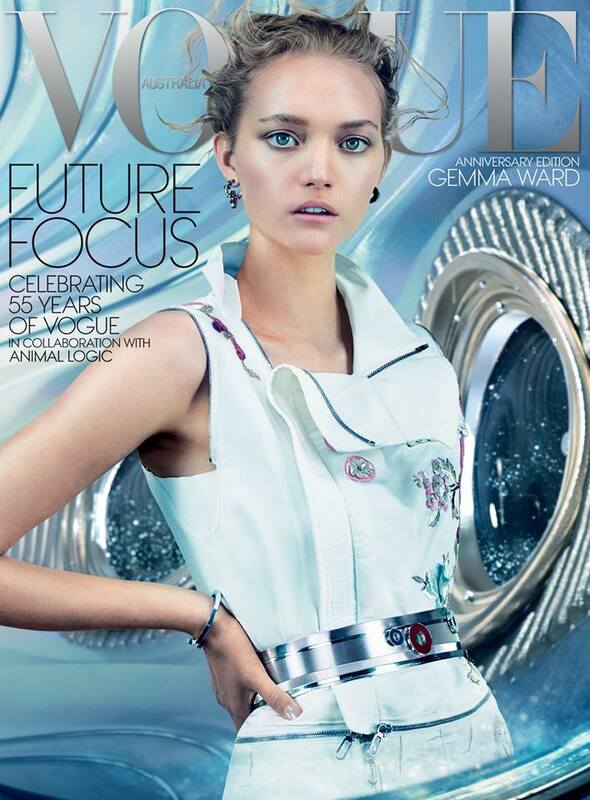 Gemma Ward makes her editorial comeback on the pages of Vogue Australia December 2014 issue which also marks the 55th anniversary of the Aussie edition,the fourth oldest Vogue in the world after the US, UK and France. After her triumphant return to the catwalk for Prada at Milan Fashion Week Spring/Summer 2014, in September, the Australian beauty is returning to shine on the glossy pages of fashion magazines after becoming a mum for the first time of daughter Naia last December. Appearing on the December 2014 issue of Vogue Australia’s 55th ­anniversary edition and opens up in an interview for the magazine with her sister, writer Sophie Ward,about how motherhood had changed her. Gemma Ward was styled by Christine Centenera and photographed by Emma Summerton. Gemma Is Back After A 6-Year Hiatus!